What did I do my last week before I become an officially employed person? I watched way too much Scandal, made cinnamon bread and wished it was fall instead of summer! That’s normal, right??? I’d be lying if I said Hobby Lobby wasn’t one of my “happy places”. It definitely is. I love that place. I’m kind of been wishing it was fall these past couple of days and Hobby Lobby didn’t help. Although, I kind of brought the yearning for fall upon myself. I made cinnamon bread the other night and I put a scent in our bathroom wallflower from Bath & Body Works that smells like ‘warm apple pie’. It’s magnificent though! No regrets there! I am totally convinced that I’m going to need this little turkey door sign when it actually gets closer to fall. How could you not find him totally adorable?! I did practice some self control yesterday…because I kind of have a thing for Charlie Brown and the Peanuts gang. They did have some Charlie Brown Christmas theme decor. I feel like they are nutcrackers but I’m not positive. How cute though!!!! Finally, if you like classic Christmas animation, I think you might like these cuties. If I had a child I would be all over these. I just think they would need them. When I was a kid I had to settle for a Rudolph stuffed animal that only kind of looked like him. Jealous. I think I just had a little too much fun yesterday exploring Hobby Lobby. Linking up with Amanda over on Running With Spoons for thinking out loud. 1. First things first! I finally finished my latest cross stitch pattern (don’t worry, I already ordered another. One could say I’m a bit obsessed.) The one I just finished was Alice in Wonderland themed. Personally, I think it’s super cute. It’s the biggest and most complex one I’ve completed so far. I’m awful proud of myself. I ironed it all out after this picture. 2. I thought Pretty Little Liars was kind of uneventful this week…for being the premiere and all. Honestly, I’m not that into the show anymore, mainly because I just can’t keep track of all the characters, all the crazy random things from seasons back that seem to suddenly matter and I just can’t remember all the wacky things that have occurred over the seasons. I just forget! Quite frankly, I’m pretty ready for this show to come to an end even though I’ve enjoyed it. I’m sticking with it though!! I didn’t watch for this many years not to see this thing through to the end! 3. On the other hand, Marty and I kept seeing all the previews for the new show called Guilt on Freeform. Basically, every time we saw it we would kind of poke fun at it but I was still just a bit interested. I ended up watching the show and I’ve got to say, I’m already kind of sucked into this show. I’m pretty excited to have a brand new show to watch. I WILL NOT be watching that new Dead of Summer show though. Just no. 4. I’ve started rereading the Little House series again by Laura Ingalls Wilder. I’ve always loved these books so I just thought they would be a good summer reading project. It will also be a good way to pass the time while I wait for my new cross stitch pattern to come in the mail. (I usually don’t order them.) Anyway, the books got me thinking that maybe I should start watching the show so now I’ve got the DVR recording them whenever they come on. I feel like such an old soul. 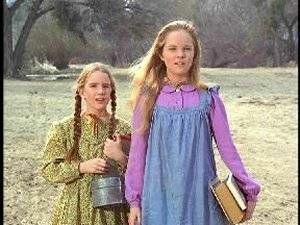 But Laura Ingalls is just so cute! 5. Finally, on Tuesday I got to watch Finding Dory! I went with one of my friends and that movie is just too cute for words! I really did enjoy watching it. I was a bit nervous about it because Dory wasn’t exactly one of my favorite characters from the original flick. I’m glad I got to see it though 🙂 Thanks discount Tuesdays at our local Cinemark! I seriously think that sometimes I should write a book about how to simultaneously be 4, 21 and 65 all at the same time. This past weekend was pretty rainy, so I was passing the time indoors on Friday night. I watched some very old episodes of The New Adventures of Winnie the Pooh and worked on my deer in love cross stitch (which I finally finished!!!!) I was so over the moon with the Winnie the Pooh episodes. Literally it was probably my favorite show as a kid. It was so darn cute!! I might be a HUGE dork. Don’t judge. On Saturday, my husband and I had a “date night” of sorts. I don’t really buy into the whole “date night” thing, but I guess that’s what you would call this. I somehow or another convinced him to watch Zootopia!!!!! He’s the best 🙂 I was very thankful for this because I didn’t really want to watch Deadpool. Zootopia was adorable.It’s the best Disney movie I’ve seen in a while. You should go watch it. Like right now. 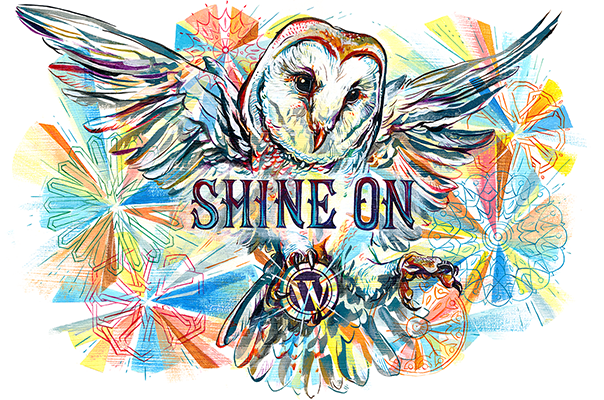 And finally….drum roll, please. I made a version of Parmesan chicken last night. Clearly, mine is the one with vegetables on the plate. Anyways, it turned out really well and it was so easy. It was just chicken, tomato sauce and some cheese. So simple and a quick meal that pretty much anyone can handle it. I was looking up recipes on Campbell’s site and came across the recipe on accident. I’m so glad I did though. I think it was even a winner with Marty. I’m just proud of myself for eating it really. I’m trying to take things one day at a time. There are some days where I have anxiety over food the next day, which is an awful feeling. Then you just have to remember to take things one step at a time. Enough random rambling…lol. There’s a glimpse into my life currently. This week is pretty much about relaxing and enjoying the few days of warm weather on this spring break while it lasts. Saturday was a fun day 🙂 My mom and I ate lunch at this super cute place (Mr. T’s Deli) that we always somehow forget about and then did some shopping for more cross stitch supplies at Hobby Lobby. Then I did grocery shopping (ick). But overall it was fun. SO excited for a new pattern. Which Dr. Seuss Character Are You? Buzzfeed. In honor of the great Dr. Seuss’s birthday this past week. Of course, I’m Cindy Lou Who. I feel like I’ve taken this before. I got Rapunzel and then Jasmine…. I’m on the fence about 2 Broke Girls. I’ve watched a few random episodes and finally got to see the pilot. I thought TBS would run them in order after that but silly me! I’m working on it. Also, PLEASE, PLEASE don’t judge me for this. I beg you. I’m kind of interested in the Jill & Jessa: Counting On episodes that start back up on TLC on March 15th. I just like those two girls. They are close to my age and just interest me. Fun fact, Jill and I were both born on the same day actually, just a different year. I think those two girls are sweet. I do not care in the slightest about the rest of the family. Thank goodness I can record the specials so I can fast forward through those parts. I’ve also been super obsessed with cross stitch and I’m in search of new patterns. I’ve found these two that I think I want to do so we will just see. Apparently, it’s my hobby now. Life Update #2: I got my vote on. I even used the electronic ballot this time. Early voting is the way to go. I kind of look like a hot mess with my crazy hair and no makeup..lol. Life Update #3: Y’all. I. Drank. Some. Chocolate. Milk. I’m not a huge milk person, so this is already a big deal. However, it’s kind of an even bigger deal because I was “drinking” some of my calories, milk is kind of on my fear food list, and this drink/food kind of had some fat in it. Wham, bam! All sorts of scary/exciting things happening there. BUT I LOVEEEEE chocolate. Seriously love. And it turns out it was pretty good. How’s that for eating disorder awareness week?! I’m already an old lady!! I got more/new supplies to do my cross stitch with!!!! Hi, Gilmore Girls binge season watching! Marty says I could’ve survived during the Pioneer days. A while back I decided I should probably develop a hobby that wasn’t running or working out. Plus, the Internet at my house isn’t the greatest (but hopefully that’s going to improve soon). When I was just a little younger, I started cross stitching because my mom said she used to enjoy it back in the day. My first year of college I stitched a few things while I sat in my dorm and watching tons of Grey’s Anatomy. Then, after that, I sort of stopped or forgot about it or something. Anyways, once Marty and I got married I decided I needed something to do to fill my time with. I finished student teaching in December and it was Christmas time (YAY!!!!!! I miss it already!) so I started to do these little ornaments (the house I showed the other day was one of the ones I was supposed to have done then). I did a gingerbread man and a candy cane during the holiday time and then sort of stopped. I finished that little house quickly and decided I needed new patterns. Enter Etsy. What a wonderful site 🙂 I found a set of 4 super adorable woodland creature type animals that make me smile when I look at them so I’m currently working on those. Hopefully I don’t give up or get bored or something. Oh! I also randomly got these bagel crisps yesterday at the store. HEB kind of rocks even though I have a love/hate relationship with it. I used to loveeeee bagels, but I try to stay away from them now, because well in my head I have that they are “bad”. Not the point here!!! Anyways, these are flippin’ fantastic. This sandwich right here is a really big freaking deal. Huge. To you, it looks like an ordinary sandwich (well, maybe not because of the bread). I used cinnamon raisin bread, because well that’s the BEST kind of bread there is. Anyways, you’re looking at it probably asking yourself what is so dang special about this particular sandwich. It’s a peanut butter sandwich and an apple. The special part: the fact that there are 2 whole pieces of bread. 2!!!!! Not 1. Not 1 1/2….but 2! I never never never ever eat sandwiches with 2 pieces of bread. I’m scared of it and I don’t like it and I don’t wanna do it. I felt like eating a “sandwich” with 1 piece of bread gave me some type of discipline and control that other people just didn’t have. That’s so not true!!! It means that I irrationally fear a piece of bread. Who in the world is afraid of bread? Me. I ate that sandwich with 2 pieces of bread because I’ve recently come to a very startling, harsh and horrifying fact that’s staring at me straight in the face. I’m scared/nervous to even type it out. This is my heart on my sleeve. This is an insight into the most vulnerable part of my being. Exposing all of my elements, secrets and disguises. Some times things just happen to you. I didn’t mean for this eating disorder to happen to me. While it could probably be argued that I did in fact do this to myself, I didn’t realize that’s what I was doing initially. I just thought I was “getting healthy”. I didn’t originally set out to lose more than 5 pounds or just gain a little bit of muscle tone. I didn’t. I didn’t realize that “getting healthy” meant becoming a slave to my own mind, being frightened of almost all foods, being afraid to be around people, sleeping just plain awful at night, having my thoughts consumed with food, and worst of all being unnerved, and sent into an utter panic over my own feelings and emotions that I buried deeper the more I developed my eating disorder. So, what the heck am I rambling on about? I went to the doctor last Monday so I’ve had an entire week to process and cope with this. When you go to the doctor, they make you get on a scale (which I get on backwards as to not see the numbers) and take your blood pressure. Twas that day that I was suddenly slammed with the reason why I’m so cold all the time, my fingernails are often found a shade of purple, sometimes why I’m kind of mean and angry, and why tired so quickly in the evening. At first I just noticed that my blood pressure was lower than usual. Like way lower. I already have a lower blood pressure but this was abnormal for even me. Then, at the end of the appointment, the nurse handed me this paper that was just going over what the doctor had said to me. I glanced at it, not realizing that it would have my weight on it…..it did. It was at that point, that I realized why I always seemed to live in Antarctica and everyone else seemed to live on a normal continent. It was at that moment where I felt panic and my heart ached. I never meant to do that to myself. I never meant for things to get quite that bad. I didn’t even realize I was doing it, that it was happening, that things changed or how I even achieved that. I didn’t want my gold star…….. It was at that moment that I realized……I might actually be sick. So here I am. Trying to make arrangements to change that. Arrangements that are going to push me. They are going to help me heal and enjoy life and live in color instead of living in black and white and watching the colors swirl around me. These things are going to push me and I’m going to push back because I DO NOT WANT TO do them. I don’t. I don’t wanna change. I worked hard for this. BUT I HAVE TO. HAVE TO. I don’t have a choice anymore. If I want to continue living, if I want to continue to have a life with my husband, if I want to teach kids, and one day if I want to have a family. I have to keep pushing for the healthy version of me. I have to fight for the good. But following inspiration people who are doing the same things as me or are a little further along in their journey than me is helpful. Especially when they are so kind as to stop, reach out their hand, and touch others. I also finished my mini cross stitch this afternoon while I watched a ton of Gilmore Girls AND the Charlie Brown Valentine’s Day DVD I got!! I’m kind of obsessed with Charlie Brown and all things Peanuts. And maybe it’s just me, but this little house I did sort of reminds me of the Blue’s Clues house….haha. Now I just want to go watch all the animated movies in my drawer!!!! Really, I’m just a child in an adult body.